The Cottage Grove Community Development Corporation (Cottage Grove CDC) is dedicated to supporting job creation in Cottage Grove, Oregon. Since its inception in 2011, our driving force is the belief that Cottage Grove is a destination location for businesses where their potential can be cultivated and realized. Cottage Grove, Oregon, is located on Interstate 5 (I-5) which is the region's major north-south interstate highway. 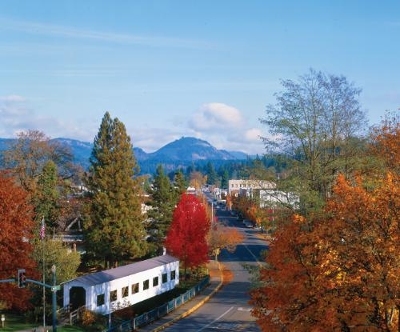 Cottage Grove is approximately 20 miles from the major population center of the area (Eugene-Springfield) in the middle of western Oregon and in the southern part of Lane County. Cottage Grove a city of distinction, rich in history, is a great place to work and play. We are focused on our sustainable future. Cottage Grove Community Development Corporation is a 501(c)(3) nonprofit organization.